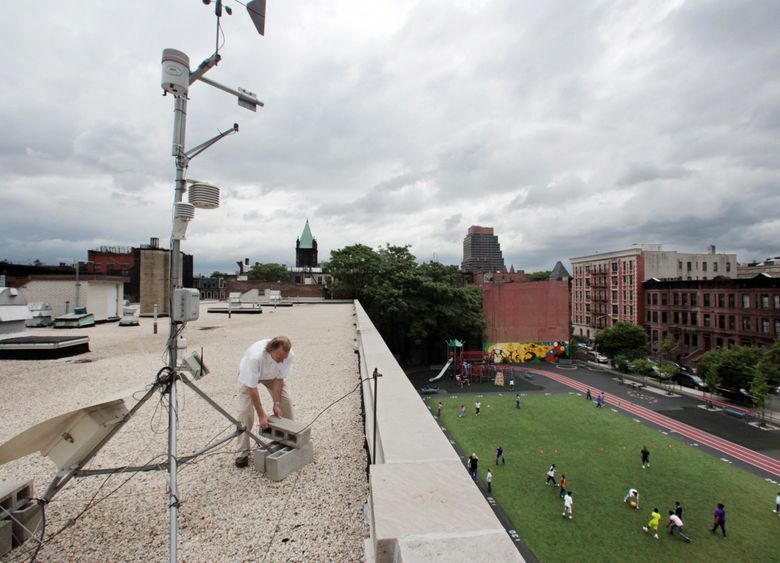 NEW YORK (AP) — Putting more green space around an elementary school may help students develop some mental abilities, a study suggests. Researchers tested students repeatedly over the course of a year on attentiveness and working memory, which is the ability to keep something in mind temporarily for performing a task. Overall, students whose schools were surrounded by more green space improved more than pupils from schools with less green space. The study tracked more than 2,000 students in 36 primary schools in Barcelona, Spain. The pupils were in the second to fourth grades when the study began. Policy makers should know that “more green around the school is better for cognitive development and that they should make sure that kids can see and play in green areas,” one author, Mark Nieuwenhuijsen of the Center for Research in Environmental Epidemiology in Barcelona, said in an email. The researchers used satellite images to group schools according to how much green space appeared on the school grounds and within about 55 yards of the school property. Their analysis indicated that differences in socio-economic factors between schools did not account for the study outcome. Sally Augustin, a psychologist in La Grange Park, Illinois, who uses research on how people react to their surroundings to consult on design of buildings, products and services, said the results made sense to her. Augustin, who did not participate in the new study, said the results fit with previous findings that views of nature help children and adults lower stress and perform mental tasks better.